La quema de Judas or The Judas burning in Mexico is a celebration held in Sabado de Gloria (Holy Saturday). Papier mache figures symbolizing Judas Iscariot stuffed with fireworks are exploded in Local Plazas in front of cheerful spectators. The Judas exploded in public spaces can measure up to 5 meters while 30 cms ones can be found with a firework in their back to explode them "at home". The burning of Judas is an Easter-time ritual held by Orthodox and Catholic communities. Effigies of Judas Iscariot are burned, hanged, flogged or exploded with fireworks. Once widely practiced across Europe, now it can be seen only in Greece, Portugal and Spain. The Spaniards and Portuguese spread the tradition around their colonies and it is still celebrated in Mexico, Brazil, Venezuela, Ecuador, Uruguay, Chile and The Philippines. In Mexico La quema de Judas dates from the beginning of the Spanish Colony when the Judas effigies were made with hay and rags and burned. 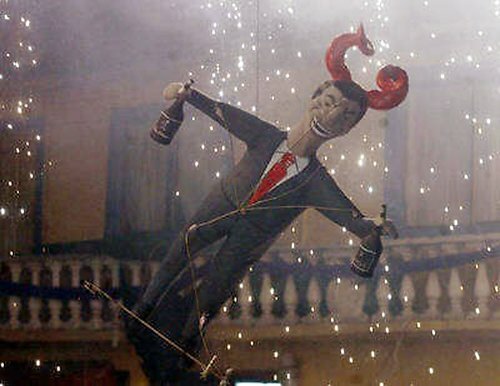 Later as paper became available and the fireworks techniques arrived thanks to the Spanish commerce route from the Philippines the Judas were made out of cardboard, stuffed with fireworks and exploded. After the Independence War the celebration lost its religious character and became a secular festivity. The Judas effigies were stuffed with candies, bread and cigarettes to attract the crowds into the business that sponsored the Judas. The Judas was then depicted as a devil and identified with a corrupted official, or any character that would harm the people. In 1849 a new law stipulated that it was forbidden to relate a Judas effigy with any person by putting a name on it or dressing it in a certain way to be identified with a particular person. 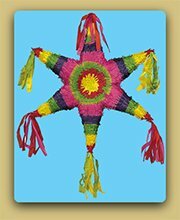 In the end of the 19th century this celebration was held everywhere in Mexico. In the 1950' Pedro Linares, who created the tradition to burn Judas in the back of the Sonora market at La Merced, used to employ more than 300 helpers to make all the Judas he sold around the city but as time passed the demand became smaller. Censorship has played a major role in the dwindling of this tradition; another reason has been security measures regarding the fireworks. Nowadays most of the burnings of Judas are sponsored by artisans and local governments and are held in Mexico City and Estado de Mexico. 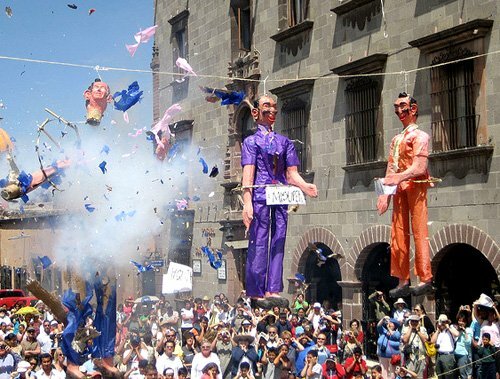 In Mexico City, Pedro Linares descendants continue to burn Judas in La Merced as a way to keep up with the tradition while in Santa Rosa Xochiac the whole neighborhood participates making gigantic Judas that are burnt in the main Plaza. For some scholars the Judas burning is a scapegoating ritual but others see beyond that and consider that burning the traitor exorcizes evil, corruption, betrayal and even death purifying the soul of the spectators. 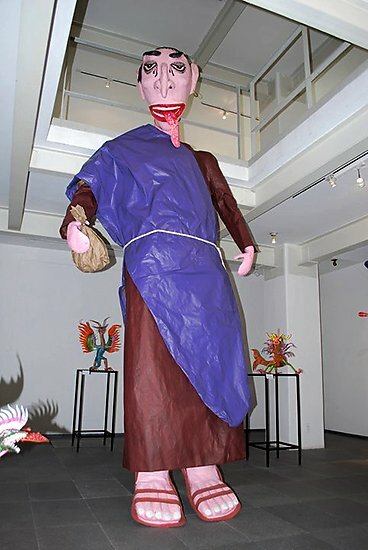 By the end of the Revolution, traditional Judas were depicted as a devil with horns, often painted color red and were made by cartoneros (paper crafters) and sold in traditional markets but thanks to the great creativity and talent of two papier mache artists the craft evolved into an artistic expression that has been appreciated around the world by artists and art collectors. 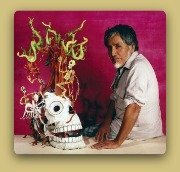 Carmen Caballero made Judas figures her whole life and was known as Diego Rivera's Judas maker as he met her in the Abelardo Rodriguez Marquez and was captivated by her work; he invited her to his studio where she made for him, skeletons, Judas, charros, etc. Her sculptures were depicted in Rivera painting The painter's Studio. 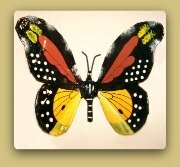 Carmen's only remaining work can be seen at the Frida Kahlo, Diego Rivera and Dolores Olmedo museums. Although her work was widely appreciated by Diego Rivera, Frida Kahlo, Rufino Tamayo and Henry Moore it had been forgotten until sculptor and curator Enriqueta Landgrave saw her sculptures and began investigating her life and work. 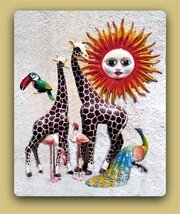 Pedro Linares is better known for being the creator of the alebrijes but before he invented the mythical creatures he used to make Judas and piñatas. 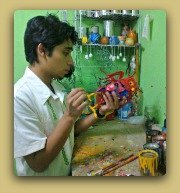 He made the traditional devil Judas and later began crating skeleton and alebrije Judas sculptures. 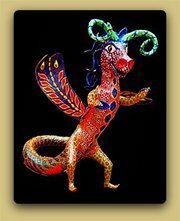 Linares was an artist concerned with the preserving of traditions and although the alebrijes made him a celebrity he continued to make Judas and to burn them in his neighborhood. His artistic tradition was passed to his descendants and they continue making Judas sculptures in all sizes and forms. Priest judas sculpture created by Miguel Linares and family.